We’d love your help. 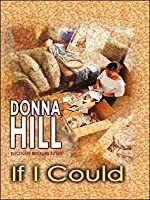 Let us know what’s wrong with this preview of If I Could by Donna Hill. Divorcing her husband because the marriage isn't working and quitting her job because she's not fulfilled, Regina Everette trades a lifestyle for a life. As her choices affect her family and friends, she falls into a new career and a new relationship, certain she'll live and love on her own terms. To ask other readers questions about If I Could, please sign up. Started out slow for me. I kept at it and the last half was great. 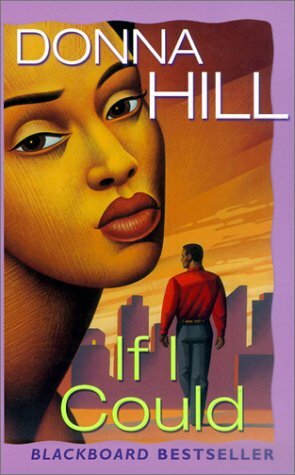 I will read more by Donna Hill. I'm glad Regina finally got a backbone! Her husband and mother was so controlling. When I first saw this book, I knew I'd found something special.After reading it however, I knew for a fact that this was a powerful book. Not only does the main character Regina, reflects the some of the everyday woman in her struggles, she also shows what can be accomplished when one decides to change the situation they are in. The first thing about this book is that it shows a turning point in someone's life and how those around the main character deals with the changes she make. The main reas When I first saw this book, I knew I'd found something special.After reading it however, I knew for a fact that this was a powerful book. Not only does the main character Regina, reflects the some of the everyday woman in her struggles, she also shows what can be accomplished when one decides to change the situation they are in. The first thing about this book is that it shows a turning point in someone's life and how those around the main character deals with the changes she make. The main reason why I love this book is because although it focus on Regina, it also covers the lives of her two other friend Toni, and Vanessa as well as combining their stories without missing a beat. The other issue I like that this book explores is the perceptions we as people in general have able each other.Even reading this now, I'm sure that you have a friend that you view in a particular way.Now let's image for a minute that this friend was to come up to you one day and totally say something shocking.How would you take it?This is something that the three friends must deal with after Regina confronts her friends and tells them how she really feels. For the most part, this book is spectacular.Not only does in manage to use vivid characters and realistic conversations, also it leaves the reader with a feeling of satisfaction at the ending knowing that Regina found her own identity in the world and that someday, we'll do the same. Complete review to come later: This was a great read! One of my most favorite parts were The Affirmations for Living on page 284. I should print that up and frame it, those were good affirmations. This is my first read from Donna Hill. I loved Regina. She was strong, humble and smart, yet loving and kind. My copy of the book had a different cover from what Goodreads has. Mine was published by Dafina Books. It is a beautiful pale yellow cover. Regina (the main character) is on the cover wearing Complete review to come later: This was a great read! One of my most favorite parts were The Affirmations for Living on page 284. I should print that up and frame it, those were good affirmations. This is my first read from Donna Hill. Like that this book start off talking about three women's, how they met and take you on a journey of their life. It talks about their ups and downs. It also talks about the men in their lives and each character has a different story to tell. Regina!! She was the heart of the book. Her will to finally stick up for herself despite what others would think of her really touched me. If only there were more people like her in the world. Mrs. Hill's writing is wonderful and meaningful. If I could is about three friends who have made wrong choices in their lives. As you keep on reading you will love them.